Sun in Gemini means duality. As one being not enough for so many facets, that is why we see “two people in one”. The Sun is the king star of our astrological essence and with Sun in Gemini, there is always a plenty of things to talk about this sign. Let’s know more? “To speak”, this must be the verb of Sun in Gemini. Or better, “to communicate”. Communication is the core of this sign, since its ruling planet is Mercury. Sun in Gemini offers an excellent time to study, expand your network, start reading hobbies and learn new languages or a musical instrument. People with Sun in Gemini are the most curious and intelligent ones. Their curiosity leads them to research on many subjects because for them, knowledge is what feeds the soul. Their mission is to learn to evolve. And do not think they keep the knowledge to themselves, they are passionate about sharing with others in a very friendly way. Contributing to a conversation is one of these people’s favorite things. They are changeable and adapt easily in new situations. Extroverts, always have some activity to do and have several groups of friends. Boredom is a word that Sun in Gemini does not know. People with Sun in Gemini deal with words in a special way, so presenting their ideas and convincing people will not be a problem for them. They can handle and even like to be multitasking, while people under the Sun in other signs can not have many activities at the same time. They are usually very friendly, funny and receptive. 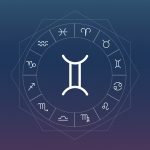 They are the type to run across and if you do not have company for a program that might seem strange or uninteresting to most people, it’s a Gemini that you have to call. It is very pleasant to be in the presence of a Gemini, but you can not feel very intimate. First because their personality is divided among the thousand friends they have and second because they do not let it get too close because intimacy is a thing to be conquered over time. Even when there is intimacy, they do not like and feel irritated by too much of affection demonstration, especially physical. Because of that, they may seem cold. And since they value intelligence, when there is no intellectual affinity with someone, they tend to “discard” people. They are easily disinterested by things and do not go deep. They love to learn, that’s a fact. But they have a reputation for knowing little about everything and passing on the image of superficial people. As they like to share information, they are not very good secrets keepers either. They have a difficulty in organization, as their thoughts are many. And because they change subjects quickly, they can be contradictory even with what they speak themselves. Your mind is agile and this can be a bit tiring at times. Take the time to meditate and silence the mind. An open place where you can feel the wind on your face can do wonders for you. Work on the connection you have with others, practicing empathy and remembering that not everyone is like you, so be more patient. Since it is easy to convey ideas, do not hesitate to help someone with more direct and practical explanations. You do it like no one else!